I was so surprised to find out that even food and other compostable items don’t decompose when put in a landfill (see my post on Garbology by Edward Humes). Since then I’ve been thinking that there must be an easy way to compost. This was brought home to me in my visit to New York City this past weekend. I went to see the tennis at the U.S. Open but found myself thinking about compost. At the U.S. Open itself, there were compost bins next to the recycling and trash bins. In the ladies’ room, the only bin by the sinks was composting because the paper towels were compostable. That made me think that the napkin I threw in the trash was probably also compostable. The U.S. Open also had signs on the beds of flowers saying that they used the compost from last year to make this year’s Open pretty. The other place I went while in NYC was the Brooklyn Botanic Garden. They had a composting exhibit that made it seem really easy. It also showed that you can grow things in a compost pile before it is done composting. I then looked into what someone would need to do in order to compost their food waste. Obviously, if you have a yard and/or a garden, you can make compost piles outside. But if you don’t have a place to do it outside, there are still things you can do. Here are two sites I found about composting in a yard: Planet Natural and EarthEasy. Basically, it works better if you have a bin and make sure you have a balance of different materials. Moisture and the occasional stir helps too. If you don’t have a yard, there are buckets you can buy (like this one at the Container Store) that can stand by your sink. Having charcoal filters in it is an expense but helps with the odor. A lot of towns, at this point, have places you can drop off your scraps, and so do some grocery stores like Whole Foods. This is the site for Cambridge, MA. They point out several things – you can freeze the scraps to avoid odor, you can buy compostable bags so you don’t have to dump it when you drop it off. It turns out there is a lot of information out there and a lot of relatively simple ways to create useful compost and keep food scraps out of landfills. 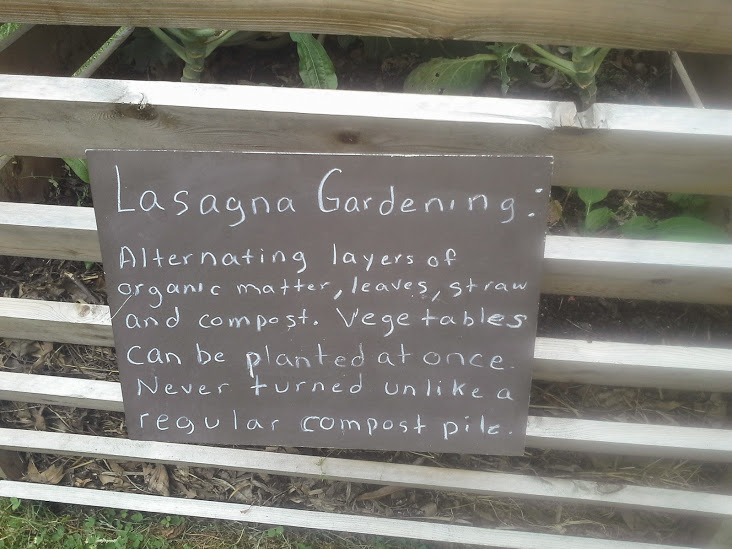 I hope this inspires you to find the easiest way for you to compost. 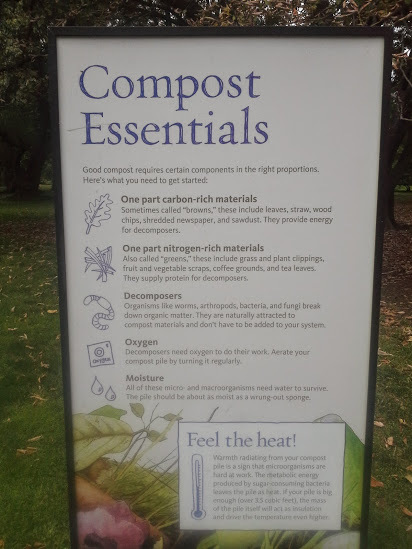 Categories: Environmental Impact, Personal Stories | Tags: brooklyn botanic garden, compost bins, compost pile, compostable, composting, environment, environmental impact, Environmentally friendly, recycle, tennis, us open | Permalink.